Bactrian was the pri ncipal language of administration in what is now Afghanistan from the time of the Kushan empire (1st to 3rd centuries C.E.) until the early Islamic period. 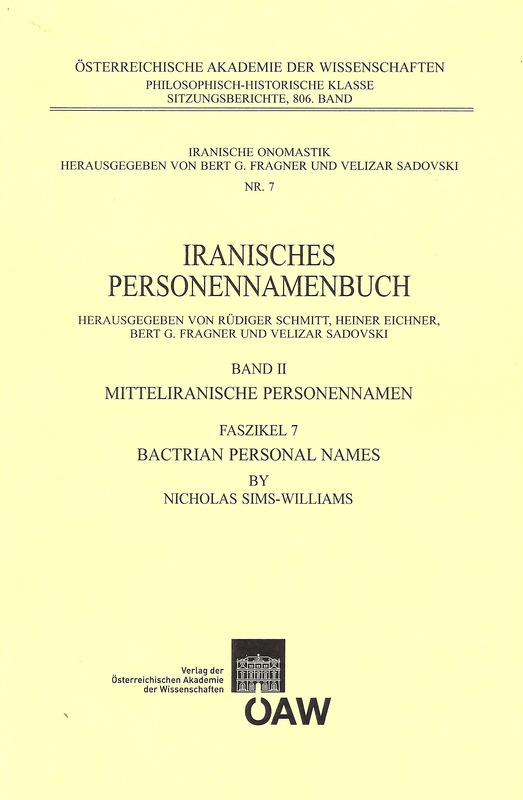 The surviving Bactrian inscriptions and documents, coins and countermarks, seals and sealings attest a large number of personal names, whose various linguistic origins—Persian, Sogdian, Indian, Hunnic, Turkish, and of course native Bactrian—mirror the variety of peoples and religions which combined to form the unique culture of this region during the 1st millennium C.E. In this comprehensive study, Nicholas Sims-Williams analyses the etymology, structure and meaning of the names themselves and where possible identifies the persons who bore them. It is of interest both to specialists in onomastics and to linguists and historians concerned with the languages and culture of pre-Islamic Afghanistan and neighbouring regions.